We are connected with many Bay Area birth practitioners - doulas, home birth and hospital birth midwives, lactation consultants and family therapists. We are also part of Bay Area Birth Information (BABI) network. Acupuncture increases blood circulation to targeted tissues thereby benefitting the reproductive systems of both men and women. Acupuncture can be used to stimulate the hypothalamus and pituitary glands which are critical in production of hormones such as Lutinizing Hormone (LH) and Follicle Stimulating Hormone (FSH). When blood circulation is increased, and hormone release triggers are stimulated, the reproductive and sexual function of the glands and organs is improved and restored. Acupuncture brings the body back into balance. Difficulties couples may be facing while trying to get pregnant are often manifestations of these imbalances. Acupuncture and herbs can help prepare your body for a successful pregnancy. Furthermore, studies have shown that women undergoing western fertility treatments have a higher pregnancy rate when the patient is also receiving regular acupuncture. It is important to give your body the support it needs during conception, pregnancy, and postpartum so that it can transition through these stages with more ease. Acupuncture offers a useful adjunct therapy for women who are taking medication during pregnancy and worried about the side effects of the medications. Regular acupuncture treatments help with nausea during pregnancy and effective in depression and anxiety conditions. Many women come to us looking for an alternative to medical induction if their baby is overdue or if their doctor recommends early delivery due to any health concerns for the baby or mother. Relaxation is a large component of the process of beginning and maintaining contractions. Research shows that acupuncture works directly on the nervous system, calming the mind, and relaxing tension in the muscles and ligaments. Oxytocin is released when the body is relaxed and this hormone is largely responsible for uterine contraction during labor. There are many acupuncture and acupressure points that are avoided during pregnancy. We use needles and massage to stimulate these points. Many of these points open the hips and the lower back and stimulate uterine contraction while promoting a downward energetic movement to encourage your baby toward the birth canal. We often work in tandem with our chiropractic partners at In Health Clinic to induce labor. On the Chiropractic side, techniques are used to balance the sacrum, create space in the pelvis, and soften the round ligaments. Chiropractic is also helpful in conjunction with acupuncture to ease pain in the pubic symphysis. When a baby is breech, an external version or a cesarian section is often recommended by the delivering doctor. There are many ways to try to turn a baby so that they are positioned for a vaginal birth. We use acupuncture and moxibustion on the outside corner of the fifth toenail, also known as Urinary Bladder 67. This point has a specific function of stimulating the uterus. The tonifying and warming effect of the moxibustion on this point promotes activity and movement in the uterus encouraging the baby to turn to a head-down presentation. We recommend spinningbabies.com for further information and recommendations for turning a breech baby naturally. After giving birth, the body needs to be replenished. Many fluids are depleted, leaving the mother dehydrated and fatigued. We use acupuncture and herbs to nourish and restore. 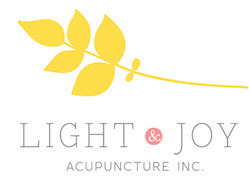 We specialize in providing support with acupuncture and herbs through all stages of conception, pregnancy and birth while also placing emphasis on the importance of the recovery stages following birth. Our services help the body adjust to the physical and emotional stresses of new motherhood. It is important to stay connected to friends and family for support. After giving birth, a new mom may feel isolated from others as she is constantly caring for her newborn. Isolation can lead to feelings of sadness and depression. Many women feel embarrassed about these feelings and become reluctant to share. Talk to your partner about how you are feeling so that they can help recognize symptoms as well. If symptoms become more severe or feel unmanageable, please seek professional help. We are here as your resource and you can also reference BABI’s website at bayareabirthinfo.org for lists of therapists and support groups highly trained in postpartum issues. Caring for a newborn can be taxing, emotionally and physically. Acupuncture is one of the best treatments for anxiety and depression. It is very effective and drug-free. The combination of acupuncture, herbs, and proper postpartum nutrition can restore a mother’s hormone health and energy levels so that she feels strong and capable in her role as Mom.